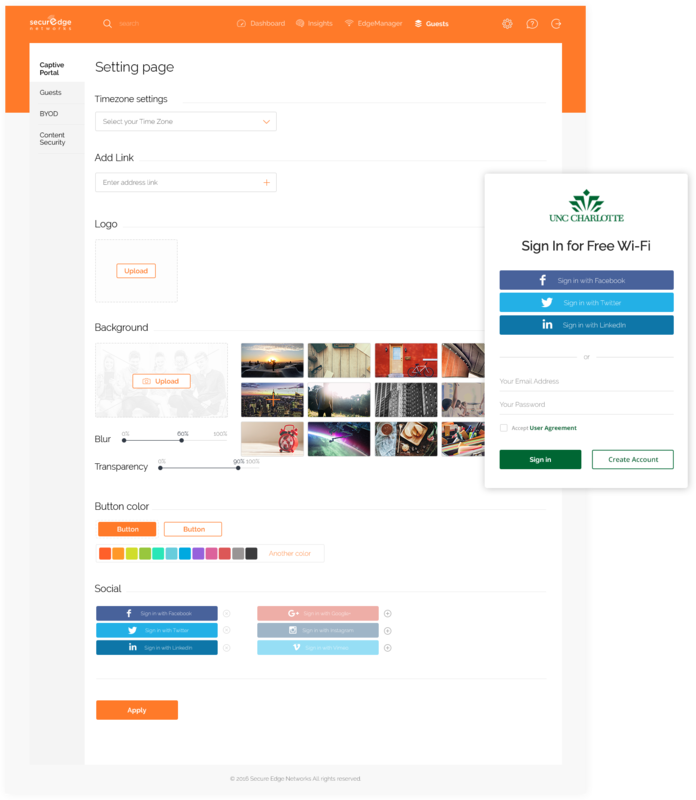 SecurEdge Cloud is a platform that will be the point of management for each customer’s captive portal, billing, and Wi-Fi analytics. The main purpose is to provide management of SecurEdge Networks' customers wireless technologies in an easier and better way. 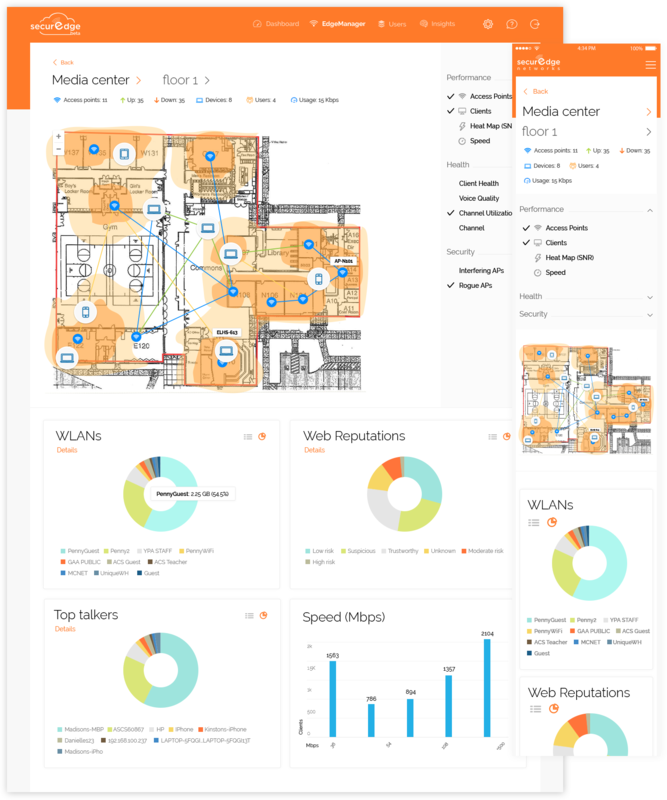 The clients are able to see building coverage maps with the firewalls, controllers, location services and access points right on the floor plans. This lets the clients see how fast the connection is, how many clients they have in each building and how good the perfomance is. 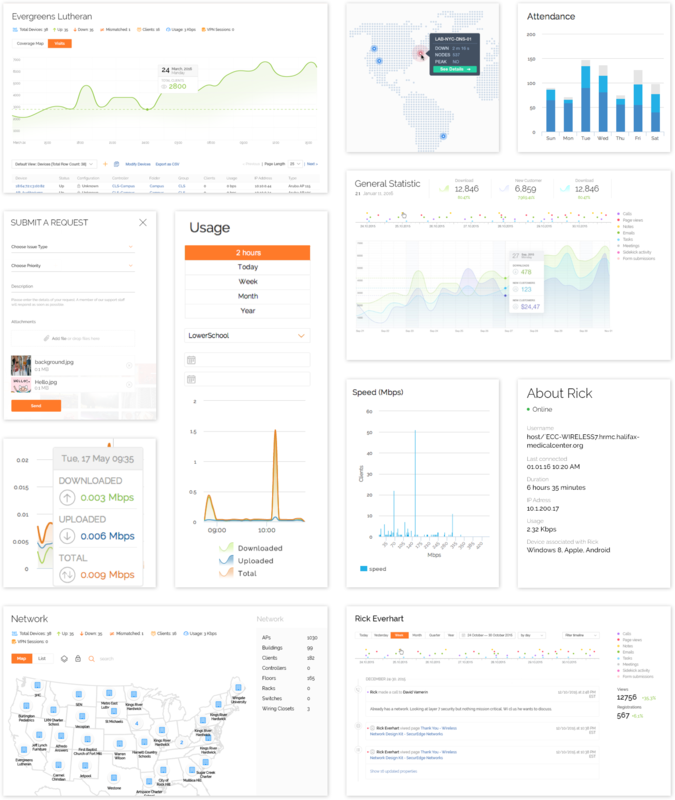 The main features of the Dashboard are: 1. Usage Graph, which is showing the number of uploads and downloads on a timeline; 2. 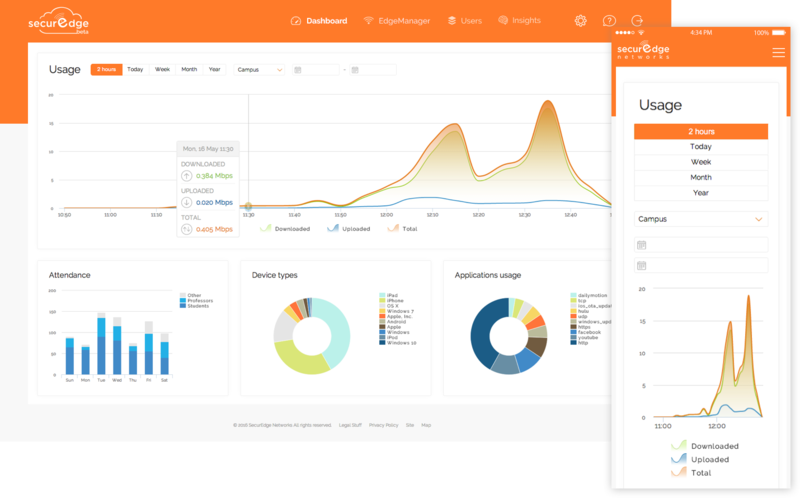 Multiple pie charts which show the Device types that end-users utilize and the websites that are visited the most. The clients are able to customize their captive portals by linking them to their personal social media accounts, choosing and/or uploading background pictures and logos, and changing pictures' transparency. Furthermore, there is a functionality of picking splash pages' working hours.